playing shows in three different bands, Whiskey River, Fever 103 and Full Metal Jacket, Tommy is fully involved with the Seattle music scene. Tommy has a great knowledge of vintage Fuzz pedals, along with just about ANY other pedal you can ever think of. Whether its vintage, new, boutique, rare or common. When its comes to pedals Tommy knows his stuff. Tommy has been collecting rare tube amplifiers for many, many years and in that time has had the opportunity to learn about tone and what makes each amp different and special in its own way. From 100 watt Marshalls to 3 watt Valco's. If it has tubes, tone, and style it is on Tommy's radar. Guitars, Guitars, Guitars. Tommy loves guitars. From acoustics, to electrics. Archtops to Classicals..Basses, Mandolins, Banjos, Ukes, or Lap Steels. It just doesn't matter, Tommy loves and knows them all. From 50's Classics to 80's Shredders. From super expensive to super affordable Tommy just cant get enough!! 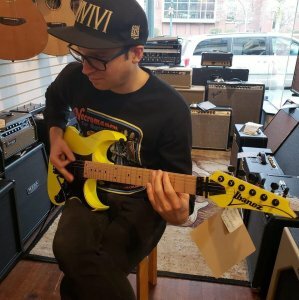 Tommy isn't in the shop, Kyle is the go-to man for serious musicians looking for professional gear, or a player just looking to tweak their sound. 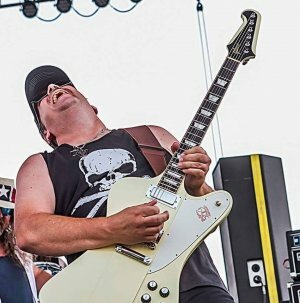 Kyle has been hard at work in the Seattle rock scene with his own band, Wyatt Olney and The Wreckage. 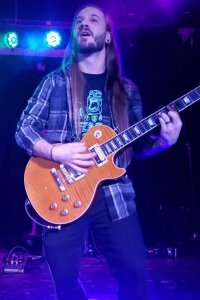 Ryan has been playing guitar and touring for over a decade as well as offering services as a session player, specializing in extreme metal genres. He has extensive knowledge on pedal modding and an extreme infatuation/obsession with Overdrives.